Did you know….? Art competitions were a feature of the modern Olympic Games during its early years, from 1912 to 1948. The competitions were part of the original intention of the founder of the International Olympic Committee, Pierre de Fredy, Baron de Coubertin. His idea was to honor men – educated in both mind and body – and competing in sport rather than war. Medals were awarded for works of art ‘inspired by sport’, divided into five categories: architecture, literature, music, painting and sculpture. At various times there were suggestions to expand the competitions to include dancing, film, photography or theatre, but none of these art forms ever became part of the Olympic Games as a medal event. The 1912 Summer Olympics, held in Stockholm, Sweden attracted a disappointing number of entrants: only 35 artists are known to have sent works of art. Things were different for the 1924 Summer Olympics in Paris. The contests were taken seriously and 193 artists submitted works. This figure included three Soviet artists, even though the Soviet Union officially did not take part in the Olympic Games, which they considered to be a ‘bourgeois’ festival. The growth continued at the 1928 Amsterdam Olympics, where over 1,100 works of art were exhibited in the Municipal Museum, not including the submissions in literature, music and architecture. Artists were allowed to sell their works at the close of the exhibition, which was rather controversial given the IOC’s policy, which required all competitors to be amateurs. In 1949, a report was presented at the IOC meeting in Rome which concluded that practically all contestants in the art competitions were professionals. The IOC argued that the art competitions should therefore be abolished and replaced with an exhibition without awards or medals. Since that time several attempts have been made to re-include them, but all without success. The Olympics continue to be connected with art exhibitions, however. 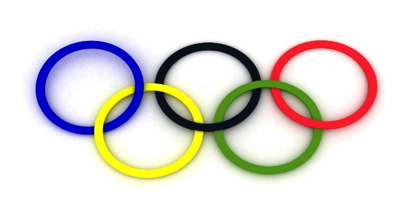 The Olympic Charter requires organizers of the Olympic Games to include a program of cultural events, to: ‘serve to promote harmonious relations, mutual understanding and friendship among the participants and others attending the Olympic Games’. 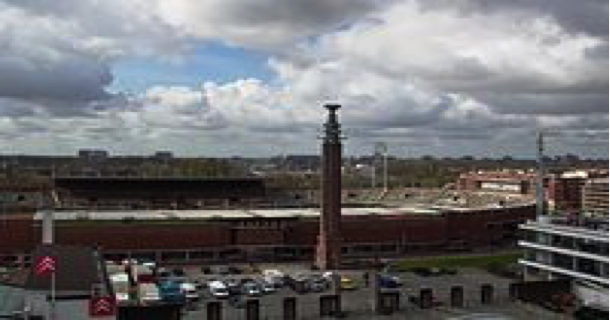 Architecture : The 1928 Olympic Stadium, designed by Jan Wils, won the gold medal in architecture at the 1928 Olympics. Literature: The literature competitions were divided into a varied number of categories. Separate categories were introduced for dramatic, epic and lyric literature. Entered works were limited in length (20,000 words) and could be submitted in any language, provided they were accompanied by English and/or French translations or summaries. Music: A single event for music was held until 1936, when three categories were introduced: one for orchestral music, one for instrumental music, and one for both solo and choral music. The juries often had trouble judging the pieces, which were entered on paper. 1936 marked the only occasion when the winning musical works were actually played before an audience. Painting: As with the other art forms, a single painting category was on the program until 1928, when it was split out into three sub-categories: drawing, graphic arts and painting. The categories changed at each of the following Olympic Games. In 1932, the three categories were: paintings, prints and watercolor/drawings. Sculpture: The sculpture class had only a single category until 1928, when two separate competitions were designated; one for statues and one for reliefs and medals. Who were these artistic Olympians? While several of the Olympic art medallists have achieved at least national fame, few of them can be considered well-known artists globally. In fact, the 1924 Games featured better known jury members than artists, with artists like Selma Lagerlof and Igor Stravinsky evaluating the entered works. 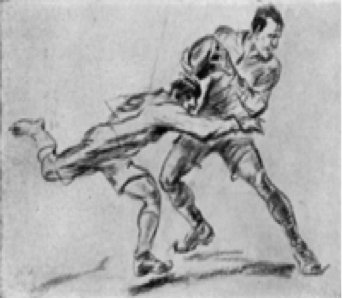 Judging by the medals won, Luxembourg painter Jean Jacoby is the most successful Olympic artist ever, winning the gold medal for his 1924 painting Étude de Sport, and for his drawing Rugbyin 1928. Only two persons have won Olympic medals in both sport and art competitions. Walter W. Winans, an American, won a gold medal as a marksman at the 1912 Summer Olympics in the running deer (double shot) competition. He followed up with a gold medal for his sculpture An American trotter. The other Olympian with successes in both fields is Alfred Hajos of Hungary. 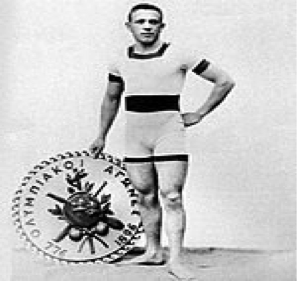 As a swimmer, he won two gold medals at the 1896 Athens Olympics. Twenty-eight years later, he was awarded a silver medal in architecture for his stadium design. Two presidents of the International Olympic Committee have also been among the entrants in the Olympic art competitions. In 1912 founder Pierre de Coubertin, under the pseudonym ‘Georges Hohrod and Martin Eschbach’, entered Ode to sport, which won the gold medal. Avery Brundage, who competed as an athlete at the 1912 Games, entered literary works at the 1932 and 1936 Olympics, earning an honorary mention in 1932. He would serve as the IOC’s president from 1952 to 1971. Britain’s John Copley, winner of a silver medal in the 1948 engravings and etchings competition, was 73 years of age, making him the oldest Olympic medallist in history. Who are the all-time Olympic medal winners in the Arts competitions? Germany comes out on top with a total of 23 medals across all the arts categories. Italy and France are next with 14 medals each. The United States comes in at a distant 4thwith only nine total medals – tied with Great Britain, Denmark and Austria. Coming in at last place in the arts competition with only one medal each (never quite able to get that artistic thing down) was Norway, Monaco and (surprisingly) Greece.